This is the time when NBA scouts start to evaluate the best prospects in basketball. But most players' first professional contract will be a sneaker deal. So which top prospects are on brands’ radars? With the NCAA tournament around the corner, NBA GM’s and sneaker brands are already deep in the process of evaluating top prospects. March Madness is a time for evaluators to watch the next generation of NBA superstars and the 2018 NBA draft is loaded with star potential at the top. While NBA front offices might have their sights on how these players will translate to the next level, it is also worth noting that brands are looking for guys who can sell sneakers down the road. The relationship between the NCAA and sneaker brands has always been complicated, as we have seen how shady the business can get with the Louisville and Adidas recruiting scandal. The One & Done documentary featuring Ben Simmons provides viewers with a firsthand account of how brands court players throughout the NCAA season—sometimes with sneaker reps moving to the city where these prospects play. Most brands have been recruiting these prospects since they were freshmen in high school, and maybe even earlier. For most players, their first professional contract is not an NBA one but a sneaker deal. So which top college basketball prospects are on brands’ radars? The Crossover explores. 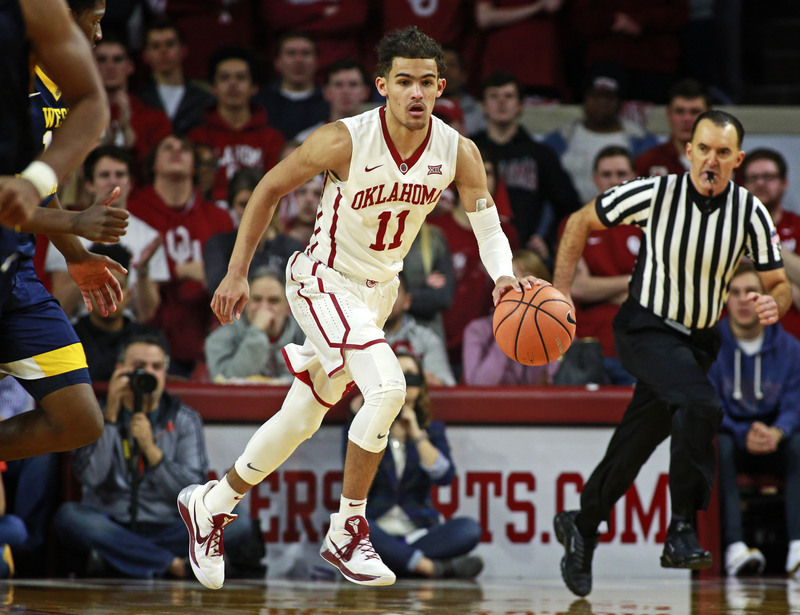 Trae Young has been this year's biggest college basketball star. It is hard to turn on Sportscenter without catching a segment about his game or whether he is the next Stephen Curry. Young’s approach fits the modern NBA perhaps more than any other player in the draft aside from DeAndre Ayton. Young possesses video-game like ability and has fans showing up hours in advance to watch him shoot before games. Sounds familiar? He already sports a cool 587K followers on Instagram and 114K on Twitter, and has the likes of LeBron and Steph praising his play this season. Brands love stories like Young’s. Despite being a five-star prospect and a McDonald’s All-American, Young flew under the radar after committing to Oklahoma. He is also not the most physically imposing athlete and that has worked out in his favor because he relates to regular people. Young broke out during the PK80 Invitational in front of the tournaments’ namesake, Nike chairman Phil Knight, and has played on the Nike hoops circuit since AAU. It would be surprising if the Swoosh can’t land one of the draft’s best prospects—a player who has performed in a pair of Nike's for most of his basketball years. They wouldn’t want to make the same mistake they made with Curry and lose a guy with his ability. Porter Jr. has been out the majority of the year with a back injury but is still considered one of the top prospects in the draft. The Missouri forward is built in the mold of Kevin Durant, and if you dig into his highlight archive, it is easy to see why he gets those comparisons. A former teammate of Trae Young's on the AAU circuit with the Nike-sponsored Mokan Elite, Porter Jr. might have the highest ceiling when it comes to marketability. He checks most of the boxes brands look for in a basketball player, as he's a highly confident wing player from a great basketball family. Porter Jr. is well aware of his brand and prior to Missouri—which is a Nike-sponsored school—he flooded his Instagram page with images from different branded events such as Under Armour with Stephen Curry, Adidas with James Harden and of course Nike. It looks like all fun and games but in reality it's an audition. Porter Jr. will for sure ignite a bidding war. 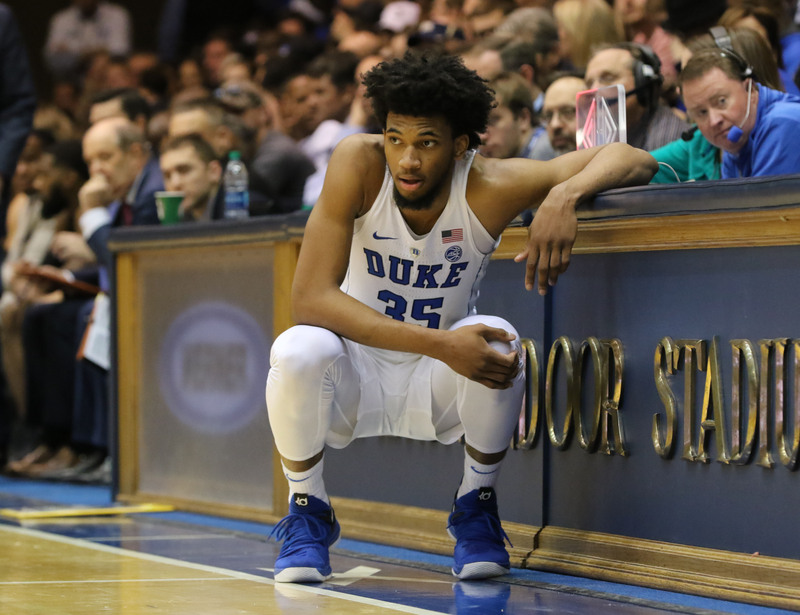 Marvin Bagley III is technically supposed to be a senior in high school and has more than lived up to the hype at Duke. The 6’10” forward out of Tempe, Arizona, is one of the most unique players in the draft. It's clear he has the tools to become a star on the next level, but at the same time it is hard to tell what position he will play in the NBA. Bagley III is closely linked to Nike and has played on the swooshes’ AAU Circuit, is a mainstay at the Nike sponsored Drew League, Sierra Canyon [Calif.] High School and now Duke. To get a hint of Bagley’s popularity, his father created T-shirts with his sons’ future logo and had to threaten outsiders to keep them from using the image. The elder Bagley is not LaVar but has been steady on building his sons’ brand off the court with his own Twitter page, “Team Bagley," which is a source of information about everything Bagley does. He is also an aspiring rapper, following other west coast products like Damian Lillard and Lonzo Ball. The blueprint for success in today’s NBA for incoming international players is Kristaps Porzingis. The Knicks took a chance on the forward from Latvia and found a star. Porzingis has shattered expectations and recently signed a mega deal with Adidas. The 18-year-old Doncic is already one of the most decorated international prospects and plays for Real Madrid of the Liga ACB and EuroLeague. He also plays alongside Goran Dragic on the Slovenian national team. Doncic stands at 6’8”, possesses strong playmaking skills and a polished offensive game. Real Madrid is sponsored by Adidas, and with the three-stripes' European dominance, it would be hard seeing them lose out on him. Forget unicorns, DeAndre Ayton is a thoroughbred playing in the NCAA. The 7’0” and 260 pound freshman at Arizona is a transcendent talent and possesses a great combination of athleticism and skills. I can easily see Ayton joining the line of generational talents such as DeMarcus Cousins, Anthony Davis, Karl Anthony-Towns and Joel Embiid. If you are only counting the three major brands, no big man in the NBA possesses a signature sneaker. Davis has been in talks with Nike about a signature model but it remains to be seen. That fact still hasn’t stopped brands from shelling out the money and providing some great marketing opportunities off the court. SI ran a feature on Ayton’s brand relationships throughout high school and how he avoided the traditional system by playing at brand-sponsored pop-up schools. Ayton bounced around a bit from Under Armour’s Balboa City to the Nike sponsored Hillcrest Prep. UA put a lot of money in funding the school centered around Ayton’s ability, but he transferred so it will be interesting to see how his sneaker opportunities play out in the future.